1. I’m in a post bank holiday lull! I love having two bank holidays in May and I’m not sure I can cope lasting till August for the next one! I think 3 day weekends should be mandatory! 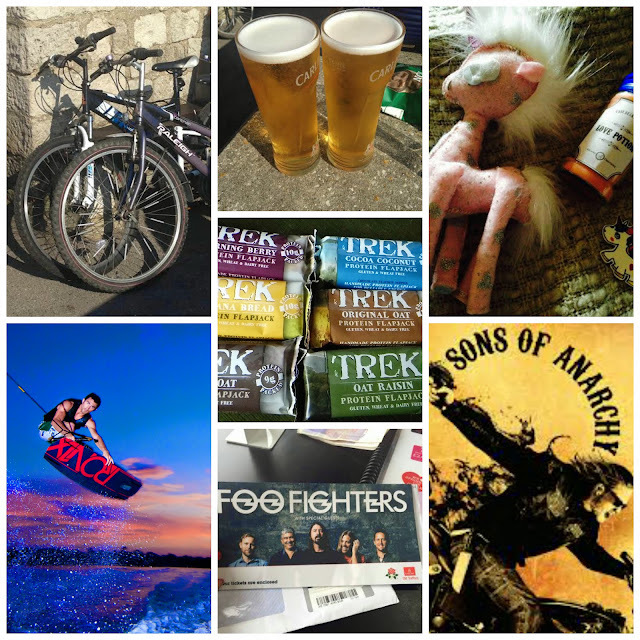 Anyways I couldn’t post a ‘what I’m loving lately’ post without mention last weekend’s bank holiday. Mine included a 15 mile bike ride in the sunshine and a few pints of cider by the beach! T’was perfect! 2. My latest #DICraftSwap parcel arrived from the lovely Hannah, the theme was Love and she sent me an amazing handmade unicorn and a handmade candle. Was such an awesome parcel to receive! 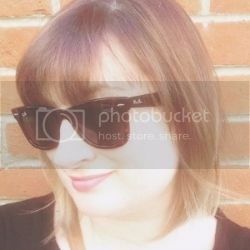 Hannah is also the wonderful lady who organised this monthly craft swap, check out her blog here. 3. So last week I had an awful cold which meant I literally did nothing except for work and come home and snuggle under my duvet, with long sessions of guilt free Netflix viewing! There’s got to be some perk to being so poorly. I was umming and aaahing over what to watch next after finishing Pretty Little Liars, so I decided to go for what had been recommended and have been binge watching Sons of Anarchy. I LOVE IT!!! How have I left it so long before I started to watch it?! Its sooo good! I’m on series 3 already and think I’m bordering on an unhealthy viewing addiction with it! 4. TREK Protein Flapjacks – I was lucky enough to be sent a box of these from Natural Balance Foods in various flavours and boy are they yummy! I’ve been eating one an hour before I go for a run or do an exercise class for a bit of an energy boost. I am slightly obsessed with the Cocoa Coconut flavour, it’s a bit like rice Krispies on the base with a layer of chocolate on top, and they are very moreish! 5. I AM GOING TO SEE THE FOO FIGHTERS TODAY!!! Yes I am that excited I have to shout/capitalise it! I am literally going to click ‘post’ on this piece and then head out to my car to embark on an epic drive up to Manchester, which is 5 hours from my door! Eeek! They are my most favourite band ever and I have always wanted to see them live, my friend’s friend was unable to go and offered us the tickets! It’s going to be a long drive but so worth it! I am literally bouncing on my chair as I type this! 6. Two weeks ago I tried wakeboarding for the first time and had the best time! I am a complete water baby and any sport or activity involving having fun on the water, count me in! So myself and a friend headed to the New Forest for the day to try it out, we were on a wire and not a boat and had a lesson. I managed to stand up really well on the board and I am definitely going to be going again this summer! They do ladies mornings so I think I'm going to give them ago! I loved this post & I too am absolutely loving Sons of Anarchy! I think I have spent too much time on netflix lately but I am obsessed. Ps. Is it weird that I fancy Tig?